Technologists and engineers are continuously concerned with obtaining new products from citrus fruit, increasing the yield of valuable ingredients, improving their quality and automating and optimizing conventional processes. 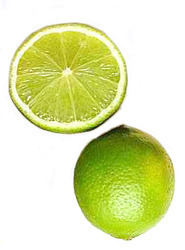 Flavour: Lime,natural with no chemical,colour . Packaging Type: HDPE food grade can. We are the leading organization in the industry to provide our clients the best quality array of Orange Juice. Refreshing drink that quenches thirst well on a hot day. Brighten up. Minute Maid Citrus Punch combines sunny orange, pineapple and tangerine flavors with the goodness of real fruit juice. It's like a ray of sunshine for your taste palate. A blend of orange, pineapple and tangerine juices from concentrate and other ingredients. We offer good quality citrus (Unigel - 500).